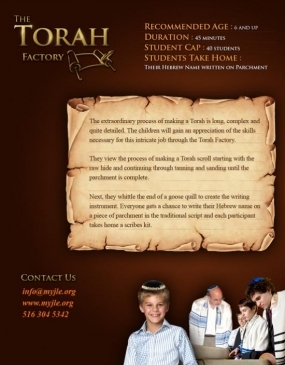 The extraordinary process of making a Torah is long, complex and quite detailed. 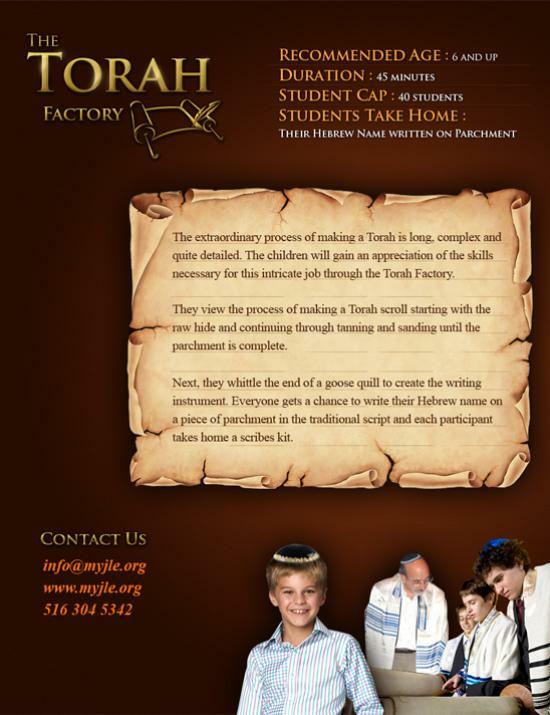 The children will gain an appreciation of the skills necessary for this intricate job through the Torah Factory. They view the process of making a Torah scroll starting with the raw hide and continuing through tanning and sanding until the parchment is complete. Next, they whittle the end of a goose quill to create the writing instrument. Everyone gets a chance to write their Hebrew name on a piece of parchment in the traditional script and each participant takes home a scribes kit.